This traditional Italian recipe has been adapted over the years to fit a more modern American diet however, all of the amazing Italian flavors has remained intact. 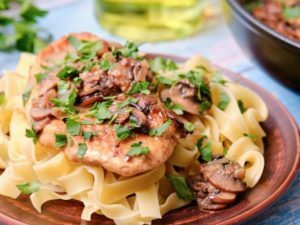 Chicken is cooked win marsala wine alongside mushroom slices which give this dish and earthy and tangy taste. The sauce cooks to be a nice thick and creamy sauce without having to add milk, cream or cheese making this recipe perfect for those who cannot have dairy. This is a quick recipe to throw together so make it next time you are entertaining guests or for a simple week night meal. A side of vegetables or pasta compliment this dish perfectly. In a shallow dish, mix the flour, pepper, salt and basil together. Coat the chicken cutlets in the flour mixture, making sure to cover the entire piece of meat. Heat the olive oil in a large skillet and add the chicken cutlets. Cook each side of the chicken for about 2-3 minutes, just to get them nice and brown. Add the mushrooms to the skillet and stir briefly. Add the Marsala wine and stir again. Cover the pan and cook for 10-12 minutes, scraping the bottom of the pan occasionally to really mix the sauce together. 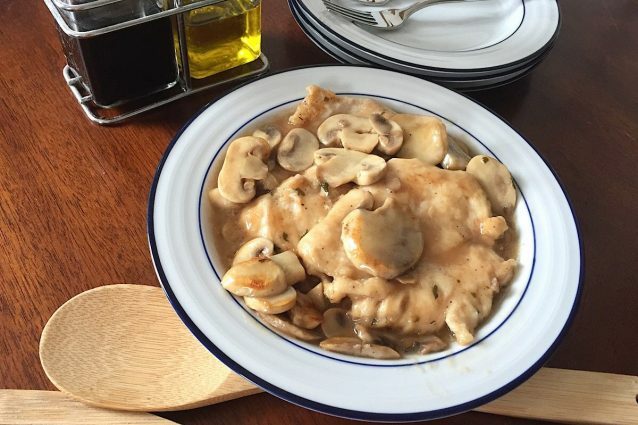 Serve the chicken marsala while hot over pasta or alongside vegetables and potatoes. 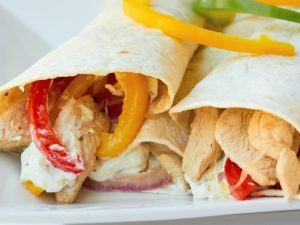 -If you only have thick chicken breasts, cut them in half lengthwise. This recipe works best with thinner pieces of meat. -Oregano also is a perfect spice to use in this dish. Add oregano or replace the basil with oregano- either way will be delicious! Marsala chicken: how to make it in a few steps!